In the wake of an obesityepidemic in the US, these findings are particularly important. Currently, one third of adults in the US are obese, putting them at risk of heart disease,stroke, type 2 diabetesand certain types ofcancer. However, they note that less is understood about the properties of indigestible carbohydrates. As such, the team carried out a study with 20 healthy, middle-aged participants, some of whom ate barley kernel bread at breakfast, lunch and dinner for 3 days. The other participants ate a control white wheat bread during the 3 days. Between 11-14 hours after their dinner each day, the team assessed the participants for risk indicators of diabetes and cardiovascular disease. 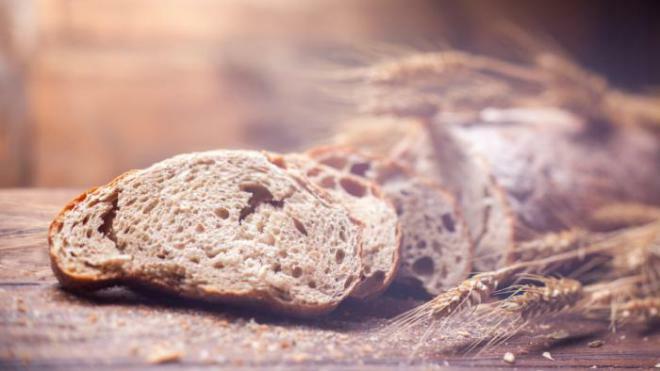 Results showed that the participants who ate the barley kernel bread had improved metabolisms for up to 14 hours, and they also experienced decreased blood sugar and insulin levels, as well as improved appetite control and increases in insulin sensitivity. “It is surprising yet promising that choosing the right blend of dietary fibers can – in a short period of time – generate such remarkable health benefits,” says Prof. Nilsson. According to the researchers, the positive health effects come about when the dietary fibers in the barley kernel reach the gut, where they increase good bacteria and instigate the release of specific hormones. Medical News Today asked Prof. Nilsson about the specific content of the bread used in the study. She explained that the goal is to have as much intact boiled kernels as possible. In one loaf of bread that they used, they had 595 g of uncooked barley kernels that they boiled in 520 g of water for around 12 minutes. She explained that the cooking time can be made longer, but the amount of water must be adapted to the size of the cooking pot. She added that, due to the small amount of gluten in the dough, it does not change much in appearance during the proofing period. They baked the bread until the inside reached 96 °C (nearly 205 °F), which took about an hour. Then, they covered the bread in the oven with aluminum foil and allowed it to cool. Alongside their study, the researchers offer advice on maintaining healthy blood sugar levels. Firstly, they say to choose bread that has as much whole grain as possible and to avoid white flour. They also suggest adding barley kernel grains into soups and stews, and to replace white rice with cooked barley. Beans and chickpeas added into meals help increase dietary fiber while maintaining a low glycemic index. Prof. Nilsson and colleagues hope their research will result in a change in what types of dietary fibers stores offer to customers, promoting better health. MNT recently reported on a study that suggested high fiber intake when young could lower women’s breast cancer risk.